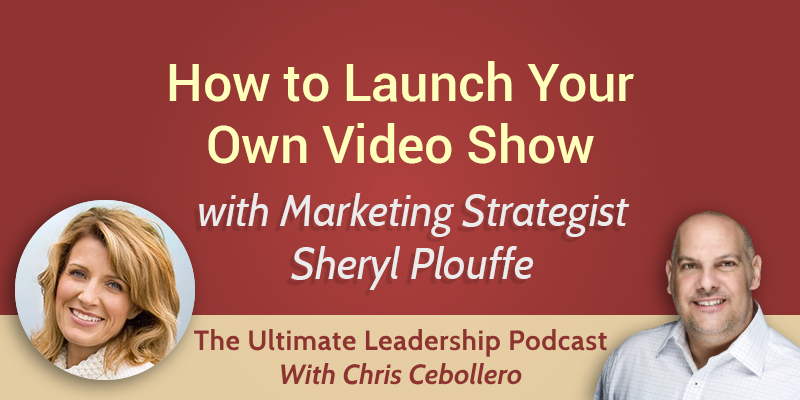 My guest today is video marketing strategist Sheryl Plouffe. Sheryl shares with us her expertise on how to create your own video show from scratch. Tune in and if you launch your show anytime soon, make sure to let us know! One of the benefits of having your own show is that it keeps you on track. As entrepreneurs, we need to be creating content. Another benefit is that it keeps you accountable to your audience. When you tell the world you’re launching a show and that you’re going to commit to that, this keeps you accountable. A third benefit has to do with consistency. If you commit to a weekly show, it keeps you consistent. If you are thinking about launching a video show on Facebook, do it. It will allow you to better connect with people. When you put yourself out there on video you’re allowing people into your life. If you choose a live show, it’s much more authentic. You can’t edit it. A recorded video can be an easier option. If you’re doing an interview-style show, you should consider using Zoom. Another good tool is Switcher Studio. It allows you to do a show with prerecorded video. You can switch in between elements, including yourself live. There are many ways to promote your show. You can start by promoting your show to your existing email list. You can also include your show in your signature at the bottom of your email. You can also promote it on your Facebook profile or on other social media. Don’t forget word-of-mouth. Tell people about it.